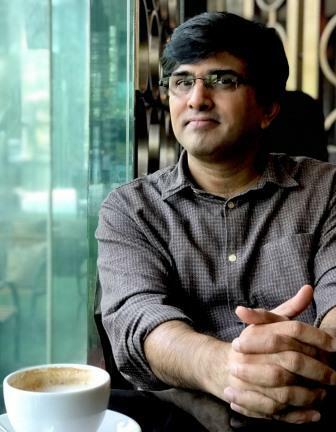 After working as a writer and a director in television for several years and making some hugely popular shows for the small screen, Mukul Abhyankar decided to fulfil his long-standing dream of making a feature film. Though 'Missing' has taken a while to reach theatres, it has made all the right noise with its stellar cast comprising of Manoj Bajpayee, Tabu and Annu Kapoor. The trailer has worked well and has made one curious about the plot of this film which is a suspense thriller, a genre seldom explored in the Hindi film industry. Ahead of the release of the film, the debutant director talks about waiting for three years for the film's release, the process of writing the film, guarding the suspense and forthcoming projects. 'Missing' is releasing almost three years after it was shot in 2015. Did the wait for your debut film to release make you restless? It did make me a little restless but I knew that the producers wanted the film to reach out to the widest audience and were waiting to release the film at the right time. I was very keen on working with a certain group of technicians. There is just one song in the film which has been composed by M.M Kreem. When we approached him, he was busy with 'Baahubali 2'. We had to wait for eight to ten months for him to start working on our film. Since he was based in Hyderabad and I live in Mumbai, distance was also an issue. Apart from the one song, he has also done the background score and I firmly believe it is one of the major highlights of the film. The final edit of the film was locked ten months back and then, we started discussing how and when to release it. The team at Amazon Prime Video watched the film and they offered a huge amount to buy the film. We did contemplate releasing the film digitally at one point of time but then, decided to give it a regular release in theatres. Apart from directing the film, you have also written it. How did the core idea come to you? I studied in Germany and I wrote this script as a part of my final year project in college. I wrote it in 1988. We were asked to make a short film. You might have heard about the famous Madeleine McCann case. After Lady Diana, It was the second most talked about case in the United Kingdom. The little girl disappeared and till date, she has not been found. Some people have drawn parallels with that case after watching the trailer but I wrote the script much before these incidents had happened. There are certain similarities in the way events in that case unfolded and the way the narrative in the film unfolds. It was almost like somebody read my script and followed a similar pattern while doing these things in real life. In the age of social media, how difficult it is to make a suspense thriller and make sure the suspense does not leak out before the film's release? I worked with a small team in which most of the team members were the ones who had a long term association with Friday Filmworks, which is Neeraj Pandey's company. I had also worked with most of them for several years. So, there was a lot of trust amongst each other and we knew our film was in safe hands. They were all very professional. We did not make a big announcement before filming and we are promoting the film over a period of just a few days. We are doing the best we can to safeguard the plot of the film. You have a production company called Hawk Eye Movies which has produced a lot of content for television. Do you plan to produce films as well? I have already completed two more films under my banner. One of them is 'Yaksh' which has been nominated for National Awards this year. We have a lot of expectations from that film. I like thrillers but not the usual kind. 'Yaksh' is a mythological thriller. I did television with a lot of passion. I was closely involved with popular shows like 'Gubbare', 'Star Bestseller' and 'Ssshhhh...Koi Hai'. Do you have any other project in the pipeline? I have recently signed a British-American production as a director. The producers are quite well-known in the west and have made about forty-five films. They were looking for an Indian as majority of the film takes place in Mumbai. The film will be announced in May. I will be working with foreign actors and technicians on the film. The only two people from India who will be working on the film will be the cinematographer and me.